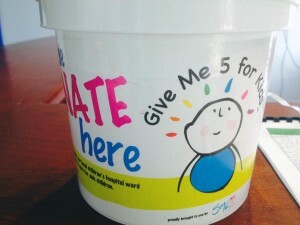 The Give Me 5 for Kids pack 2015 SeaFM office donation bucket. 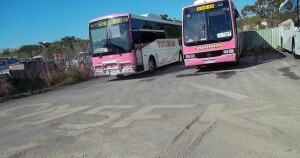 The GM5FK Young's Yeppoon office Showing off the new sign. 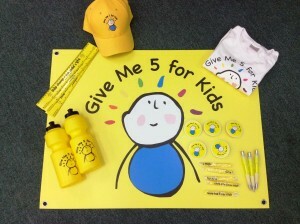 Give Me Five For Kids. Erica's Sea FM interview for GM5FK Erica's Sea FM interview with Todd & Banksy Erica's Sea FM interview and walkathon Erica's Sea FM interview about raising funds for GM5FK!! 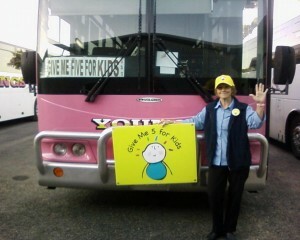 Banksy cheering on Erica at Sea FM Erica's enjoying raising funds for Give Me 5 for Kids Erica promoting GM5FK at Young's Yeppoon Depot. 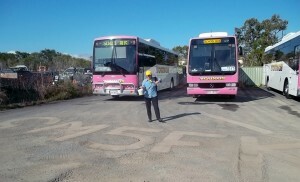 Erica promoting GM5FK at Young's Yeppoon Depot. 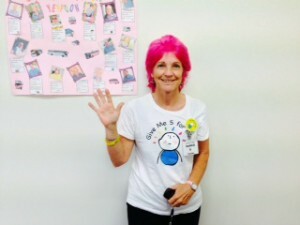 Erica promoting GM5FK at Young's Yeppoon Depot Hair At Wayne's coloured by Wayne in Yeppoon . 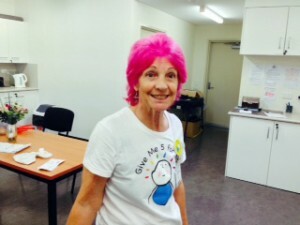 Thank you Wayne for donating your colour services for Erica & GM5FK Round 2 of pink hair. 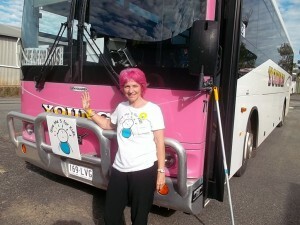 Thanks for your donations!!! Erica being funny. 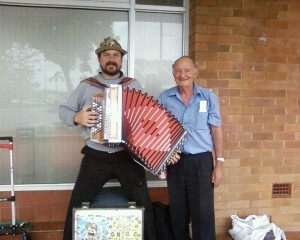 Thanks Wayne for donating your time & resources for the Kids !!! 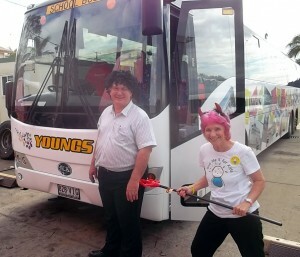 Erica with new PINK hair with her Young's Bus Erica with new PINK hair with her Young's Bus Erica featured in Young's 2015 Calendar Give us 5 for the kids!! 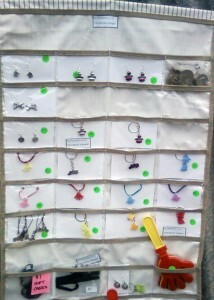 All proceeds go to GM5FK! 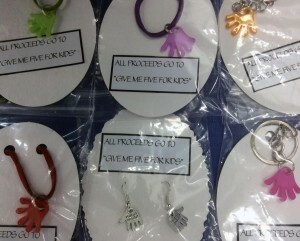 All proceeds go to GM5FK! Erica, Phil & Dave. 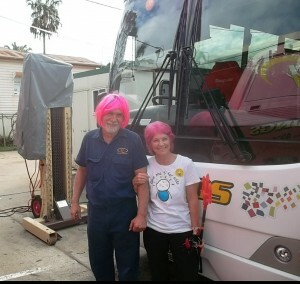 Dave & Erica go PINK for the kids. Cheeky Erica & Phil! Dave, Erica & Phil.